WASHINGTON — The top Republican on a House committee investigating voter suppression told election officials in Kansas, Georgia and Texas that the committee has exceeded its authority with information requests sent to those states. Rep. Jim Jordan, R-Urbana, the top Republican on the House Oversight Committee, sent letters Monday to election officials in the three states that described the Democratic-led investigation as partisan and beyond the bounds of Congress’ oversight power. 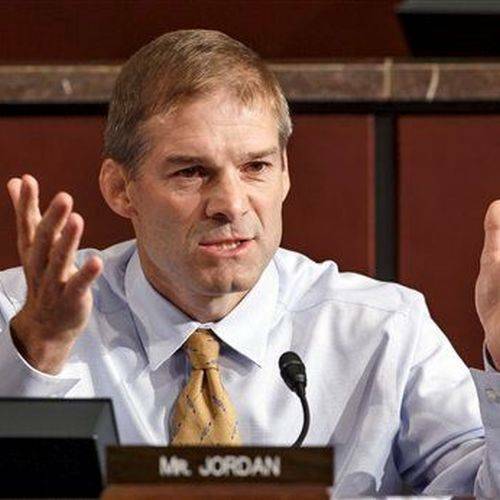 Jordan’s letter comes after Rep. Elijah Cummings, D-Md., the House Oversight chair, sent records requests to election officials in the three states last month. The committee plans to look at at least four or five states, and could subpoena witnesses in its probe of possible voter suppression. Texas officials balked at Cummings’ request, but Kansas Secretary of State Scott Schwab’s office said Monday that it has already responded. Cummings and Rep. Jamie Raskin, a Maryland Democrat who chairs the House subcommittee on civil rights and civil liberties, also sent Georgia Gov. Brian Kemp and Georgia Secretary of State Brad Raffensperger a detailed request for data regarding the state’s 2018 election. The Democrats sought documents from Texas officials detailing reported efforts to toss possible noncitizens off voter rolls.